' Aunt how are you ? ' , my neighbor who is approximately of my age asked me . On hearing this I felt very odd & embarrassing . You must be thinking that I must be looking very old & gray that is why she must have called me aunt but no , today it has become a trend of calling people of approximately same age as ' UNCLE , PAPA , AUNT & MUMMY ' . People think by calling others by the above mentioned words they will look young & will be able to hide their age. In fact these people do not realize that how bad a person feels when a person of same age or approximate same age address them as ' Uncle , Aunt or Papa , Mummy '. 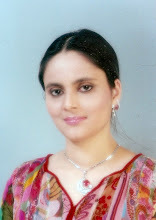 It has been seen that women are more conscious of their age than men & therefore to hide their age or to look young , women prefer calling other women of approximate same age as Aunt or Mummy .There is nothing wrong in looking younger than one's own age but to look young does not mean that one should address people of same age with words that hurt them. At times people say that they call others as Aunt , Uncle , Papa or Mummy because they do not know the other person's age & therefore to give respect they address by such words but in reality these people are liars because if they wish they can address the other person as Brother , Sister & even better Mr. So & So or Mrs. So & So . Recently an elderly lady bought a house in my building , her name is is Neeru. To make acquaintance she came to my house . My mother had a long conversation with the elderly lady . Mrs. Neeru told that she has grand daughter who has a 5 years old son . So we felt that she must be seventy plus but she said that she is just 75 years old. .Considering her age my mother addressed her as ' Neeru Aunty ' as she is only 57 but she immediately in harsh voice said do not call me Aunty , call me either ' Neeru ' or ' Neeru Ben ( sister ) ' . My mother apologized & said that I will call you as ' Neeru Ben ' as I am uncomfortable with just ' Neeru' . Neeru Ben & we developed a very good relations with her . She often used to come to my house & my mom used to chat for a very long time but my mother never called her ' Neeru Aunty ' even my mistake. One fine day Neeru Ben came to my house with some snacks which she has made in her house , by chance my father who is 59 was at home . Neeru Ben started conversing with my father but as she was talking with my father she addressed him as ' PAPA ' . For the first time we thought that is was just a slip of tongue but she again called my father as ' PAPA ' & said that I am living alone in the house & you are my papa who will look after me because my grand children are away. My father felt embarrassing as he must be at least 16 years younger than Neeru Ben . Eventually my father said ' Neeru Ben every thing is fine but do not call me Papa because you are elder to me , so it will be better if you call me either by my name or as brother. However when ever Neeru Ben meets my father in the building she address him as ' PAPA ' . This was my personal experience , you might too have come across people who are either of your age or elder to you calling you as ' Papa , Mummy or Uncle or Aunty '.According to me the only way to this problem is to address such people as ' Aunty , Uncle ' before they are able to address you as ' Papa , Uncle . Mummy or Aunty ' . Than only will realize how bad a person feels from within.